Bank reconciliation is a way to make sure all the transactions on your bank statement are in Wave, and vice versa. It’s an important part of keeping your bookkeeping up to date, so we’ve made some updates to make it even easier and more intuitive. Let’s give it a try! Remember, you can only reconcile one account at a time, so make sure you select the correct one! Once you’ve selected the account you want to reconcile, it’s time to select the month that matches your bank statement. Wave automatically sets the period to end on the last day of the month, but if your bank statements run on a different schedule, for example from the 21st to the 20th of every month, you’ll want to make sure to edit the end date. 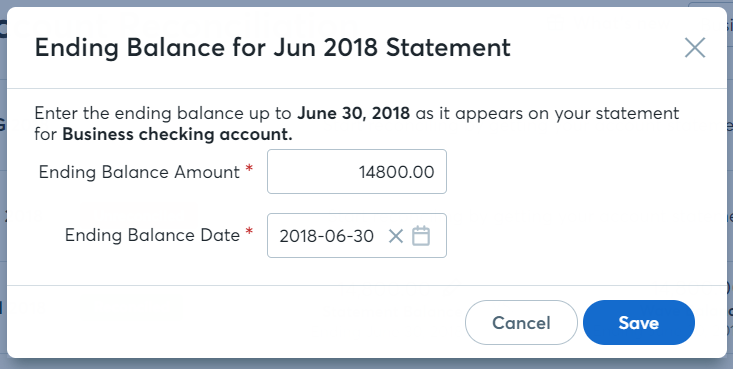 With this update, we’ve taken the guesswork out of reconciliation: Once your balances match, the account will be listed as Reconciled for that month! There are duplicate transactions, such as an invoice payment that you manually added and an imported bank transaction for the same income. Transactions are missing - did you miss entering an invoice or a bill payment? If your balances don’t match, you’ll need to go back into the Transactions page for that account to add any missing transactions, or remove any duplicates. Keep it simple and go line by line, making sure everything matches your bank statement.